• Children are not "little adults." Sports competition and training must be age appropriate to prevent injury to developing bone and soft tissue and prevent psychological trauma, which could lead to an aversion to physical activity. • Overuse injuries common in pediatric athletes include articular cartilage injuries (osteochondritis dissecans), chronic physeal injuries, and apophysitis. 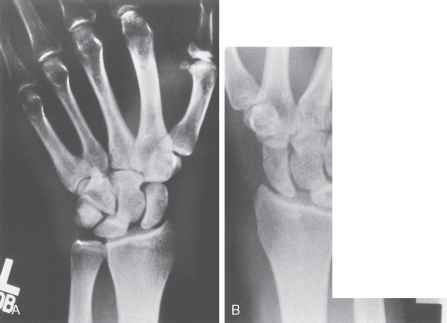 Figure 29-5 Stress fracture. Lateral tibial radiograph shows the "dreaded black line." Note cortical disruption on the anterior cortex. Pediatric sports injuries are increasing in frequency secondary to increased sports participation, prolonged and overlapping seasons, and children being subjected to adult levels of training and competition prematurely. Although the benefits of exercise and sports participation for children are well recognized, overtraining can have adverse physiologic and psychological consequences. In a review of age-appropriate sports participation from a neurodevelopmental and psychological perspective, Patel and colleagues (2002) suggested that children are not prepared for full competitive participation in complex sports before age 12 years. Children obtain the developmental tools to accomplish complex sports tasks at different ages, and future athletic talent cannot be predicted by childhood performance. Children subjected to age-inappropriate levels of competition or sports-specific skill development are likely to stop participating and create negative associations with sports and exercise, an unfortunate outcome that may affect them adversely for life. Primary care physicians must counsel parents to recognize these issues and not make physical activity and sports participation a negative experience for children.